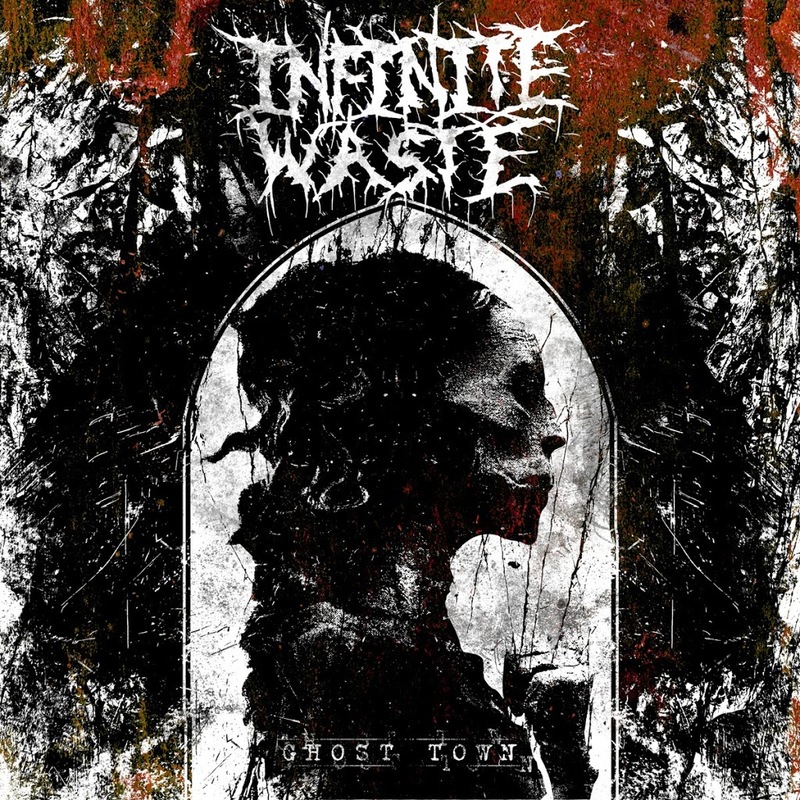 Featuring members of Burning Monk and Apocryphon, Infinite Waste is an Oakland, CA based Grindcore band. Their new release, Ghost Town, is discordant and vicious, but the vocals stand out as being especially brutal. Matt Eiseman and Jamison Kester are both outrageously aggressive in their approach to singing, and they also play guitar and bass, respectively. Meanwhile, drummer Kevin Swartz maintains a furious pace, emulating the punk rock influences of his previous work in Burning Monk. Although Infinite Waste is more grind than punk, some songs have irresistably moshable riffs. Consumer Suicide is one such auditory assault, and the guitar work is outstanding. The lyrics are also a scathing condemnation of greed and materialism (what did you expect from a song titled “Consumer Suicide? ), and indeed the lyrical content throughout the entire album is socio-political critique. The world is a fucked up place, and boy, are they pissed off. The scope of Infinite Waste’s grievances encompass worldwide problems, but also places the onus of responsibility on the individual. Mass corruption occurs when everyday people are indifferent. Although these themes define the album, the more introspective track Swallow The Sun injects some surreal darkness. Strategically placed in the middle of the album, this song introduces a slower, sludgier pace with poetic imagery, and prevents Ghost Town from becoming monotonous. Overall, this is a cohesive album with enough surprises thrown in to keep the listener on his toes, and it offers tantalizing possibilities for Infinite Waste to follow up with new material. Four stars out of five. You put me in the music hall, and make me wanna go buy new mosh pit boots! Why I don’t already have the LP warming up my turntable (yeah, I’m that advanced in age!) is gross neglect on my part. No worries. My earth anniversary is in 8 months and it’s going on my “GET ME THIS!” list. If Infinite Waste in NOT in my gift pile, you can believe I’m turning the place into another kind of ghost town.